October is going to be a very exciting month for Morbid Anatomy Presents at Observatory, with topics spanning the art and lives of the amazing Blaschka glass modelers (see their lovely glass radiolarian above! 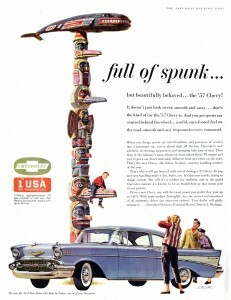 ), the "inter-cultural biography of the Totem Pole," spider seduction, and one man's artifact-inspired journey into the history of the legend of the human-skin lampshade. Also, stay tuned for an announcement of the Observatory annual Day of the Dead Party, to take place on the afternoon of Sunday, October 31. See following for the full list of events; hope to see you at one or more of these events! Mark Jacobson has been a staff writer and contributing editor at the Village Voice, Esquire, Natural History, Rolling Stone. He is currently contributing editor at New York Magazine. He is the author of many books including the novels Gojiro and currently, The Lampshade: A Holocaust Detective Story From Buchenwald to New Orleans, as recently featured in a recent issue of New York Magazine. To find out more, click here. Leopold (1822-1895) and Rudolf (1857-1939) Blaschka, a father and son team based in Dresden, Germany, spent decades creating thousands of extremely realistic and exquisitely beautiful glass flowers for Harvard University. The Blaschkas also created thousands of equally unforgettable models of marine invertebrates and other botanicals to fill the cabinets of burgeoning natural history museums the world over. The models they created–such as the one pictured above–are now appreciated as much as art objects, treasured for their fragile beauty and immaculate craftsmanship, as for their anatomical accuracy and didactic potential. Like many modelers of their time, The Blaschkas were famously reclusive men who avoided publicity and took the secrets of their art to the grave. Step behind the “glass curtain” as Mark Kessell brings the Blaschkas to life with a look at their work and an intimate tour of their personal world. Mark Kessell is an Australian medical doctor and professional artist working in New York City. Most of his work has a biological or scientific focus. He is represented by Kim Foster Gallery in Chelsea where his next exhibition, “Specimen Box” will open in March 2011. You can find out more about his work at www.studiocyberia.com. 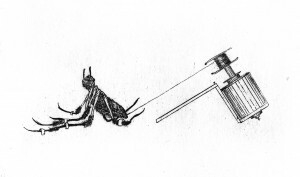 Artist and researcher Eleanor Morgan will discuss the history of our use of spiders’ silk, the courtship and mating of spiders, and spiders’ attraction to human music and song. The event will also include a recorded duet between the artist and a spider plucking its web. Eleanor Morgan is an artist and researcher based in London, UK. Her work explores the relationship between nature and culture, and she attempts to create art that hovers between the two. This has included embracing a giant green sea anemone, encouraging ants to draw self-portraits and weaving with spiders’ silk. She is currently working towards a PhD on spiders at the Slade school of fine art, University College London. You can find out more about her at eleanormorgan.com. To find out more, click here, here, here and here, respectively. You can get directions to Observatory--which is next door to the Morbid Anatomy Library (more on that here)--by clicking here. You can find out more about Observatory here, join our mailing list by clicking here, and join us on Facebook by clicking here. 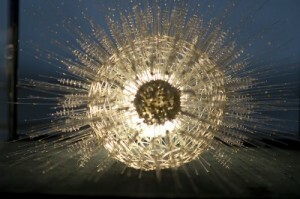 Image: 'Highly magnified model of a single cell radiolarian (Actinophrys sol). Diameter: 200mm (including spines). From the online exhibit "Sea creatures of the deep - the Blaschka Glass Models;" See the entire exhibit by clicking here; click on image to see larger, more detailed image. I did a little research years ago on those skin lampshades and based on reading quite a bit of stuff from all across the political spectrum, I tend to believe they never existed. I am a flaming liberal and certainly offer no sympathy to the Nazis, I just had the sense from reading what I took to be a fairly considerable amount of literature on the holocaust that the skin lampshades are a hoax. But I welcome proof they were real, not because I'd wish that fate upon a persons remains, but because it would convince me all the more of the Nazi's capacity for unspeakable cruelty.